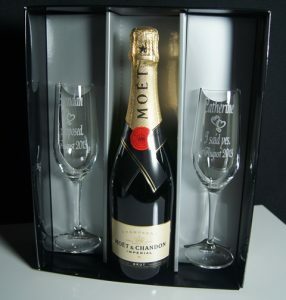 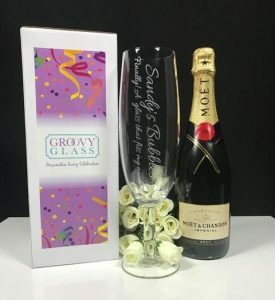 Our extensive range of wine and champagne glasses features a great assortment of varying styles of glasses. 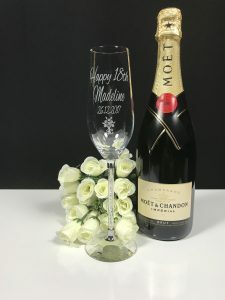 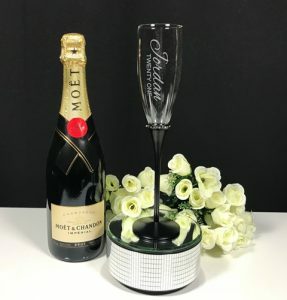 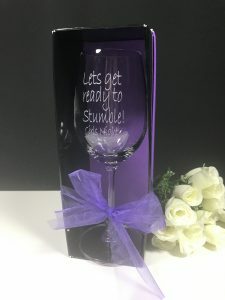 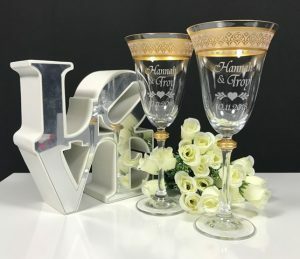 From our ever popular stemless wine glass to the elegant Crystal Stem Champagne flute, there is a definitely a glass to suit any celebration. 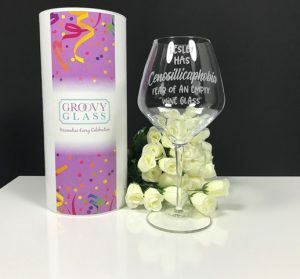 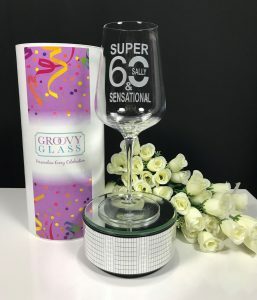 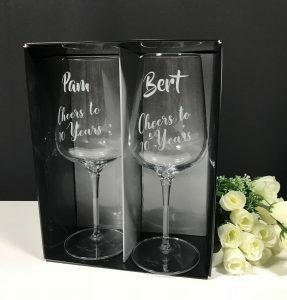 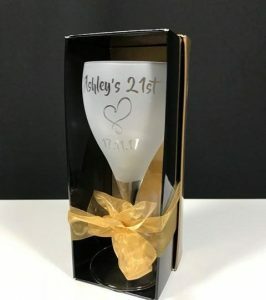 Select your glass, font graphic and message and you have got yourself a unique gift that the recipient will cherish for years to come. 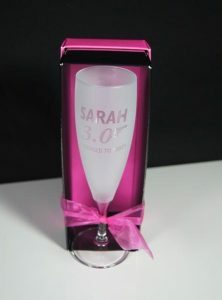 All of our glasses are etched which gives a soft satin feel and this is 100% permanent. 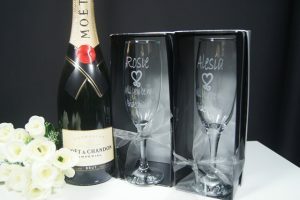 We pride ourselves on our fast turnaround times and reliability.